NET A LA MODE: Ask The Stylist: The Maxi -- Yes or No? Ask The Stylist: The Maxi -- Yes or No? It's summer time, and the livin' is breeezy. Time for Monday's Ask The Stylist! 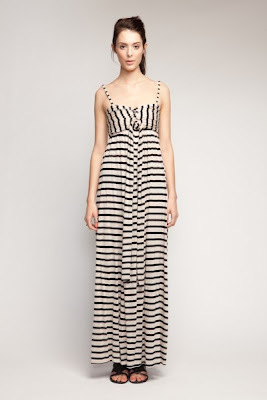 The Maxi -- Yes or No? NET A LA MODE says screams yes, Yes, YES! The mini dress is still fighting for survival, but the elegant maxi dress is surely going to take over -- as it should! YES but if you're short, keep it plain, or wear heels to lengthen your silhouette!